Previous Post: Empty Nesters on a Green Global Trek: Selecting a new home town in Asia Next Post: Buying or Renting? 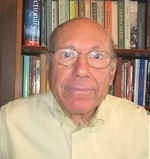 Stephen Foster is Distinguished Research Professor (Emeritus) in the department of History, Northern Illinois University. His areas of expertise include:Early American History, British Imperial History and Early Modern England. For further information see his page on the Department of History, Northern Illinois University website. The notional interlocutor whom I have endowed with a degree of benign skepticism and a touch of dyspepsia will now ask, “Why not make teaching a part of your non retirement too?” Some people do. You will find them popping up in various places as fill ins for faculty on leave or holding part time appointments at two and four year institutions or teaching in various forms of adult education. For myself, while I respect and admire those of my fellows who miss teaching so much they find their way back to it one way or another, my own situation does not allow it. The last five years of my academic career were taken up largely with administration in a position with an eleven month’s salary for a year’s worth of work. Half of what I did in a given day originated on my desk that morning, the rest was taken up by a routinized regimen interspersed with periodic crises over performance metrics. There were peak periods of work but no real lulls, so that despite a severely reduced teaching schedule, most of my class preparation was done on the run and an unconscionable share of the grading had to be off loaded on to my poor TA. Worst of all, my research was permanently on hold. By year five of this arrangement it was entirely apparent that if I were not to lose my control over such research as I had done in the years before I took up administering, as well as win back my mastery of the secondary literature, then I had to retire as soon as mutually convenient and restrict myself thereafter to scholarship. Check out other similar posts in the Jobs/Volunteer, Life category. Shipping your car to Costa Rica – Is it worth it?